It should not have come as a surprise, but the candid admission by Trump that Jobs that make Weapons of Death are more important to him than the Death of an Innocent Journalist. He certainly has his Priorities straight. That is if you are doing the Bidding of the Anti-Christ and the End Times War with Russia. Because in this Scenario the Top Priority is that your enemies continue killing each other at all costs especially when they are paying the bills for their own Deaths. “Saudi Arabia has been a great ally but what happened in unacceptable,” Trump emphasized. After the BS explanation of the year after his call with #MBS we should have not expected anything of this #Trumpanzee Circus Administration. Is it not Time that We End Sales of Weapons of Death and Stop supporting and molly coddling such Regimes? Here is another Salesperson selling Snake Oil to the Masses by the name of @TomFriedman of the NYT. After nearly four hours together, I surrendered at 1:15 a.m. to MBS’ youth, pointing out that I was exactly twice his age. It’s been a long, long time, though, since any Arab leader wore me out with a fire hose of new ideas about transforming his country. No Shortage of Snake analogies here as the Snakes now Turn on Each Other and Consume Themselves in the Ancient Occult Ritual known as the Ouroboros. 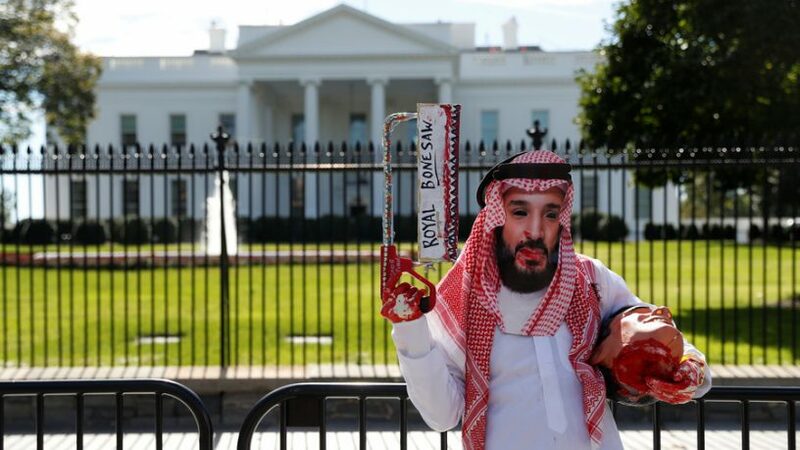 As it was just announced that none other than #MBS will be conducting a #PurgeSaudiStyle of the Intelligence Services. Like the Wolf cleaning the Chicken Coop. He will Clean it alright. Saudi Crown Prince Mohammed bin Salman has been appointed to head a ministerial committee tasked with restructuring the General Intelligence Agency, after its deputy director was sacked amid the Khashoggi death scandal. The decision to appoint MbS to head the restructuring process came after King Salman issued a decree firing the agency’s vice president, Ahmed bin Hassan bin Mohammed Asiri. The King has also issued orders to terminate some officers and appoint new ones within the primary intelligence agency of the Kingdom of Saudi Arabia.